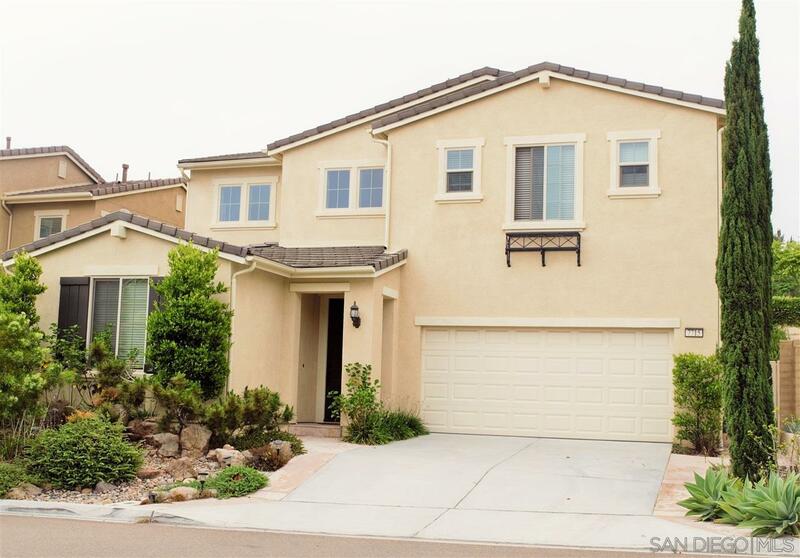 Rarely available turn-key home in prime location of Torrey Highlands. This home shows like a true model featuring white oak hardwood flooring, designer quartz countertop, upgraded kitchen, built-in cabinets, open and spacious living areas, south facing designer backyard & so much more. Minutes walking to Westview High School, minutes driving to beaches, next to newly built Torrey Meadow Community Park, convenient access to I-56, I-5 and I-15, yet sitting in a small quiet neighborhood., Tankless water heater, whole house softwater system.